Last Wednesday for lunch, my Luxe Lunch group and I dined at the Beverly Hills Polo Lounge with comedian Tom Arnold, astronaut Buzz Aldrin, and Saturday Night Live actress and comedian Amy Poehler. Arnold actually was sitting in a booth across from us. Poehler and Aldrin were sitting outside on the garden patio at separate tables. Aldrin’s ex-wife, Lois Driggs Cannon was dining inside the restaurant with a friend. An interesting moment was when Buzz, carrying a book with a rocket ship on the back of the cover, walked by Cannon’s table. Buzz Aldrin looked fit and spry for a man born in 1930. 1. I always see a few mega-stars dining for lunch with friends, agents or managers. It’s a refuge for them, because no one will take their photo or ask for an autograph. That is a big “no-no” at the hotel and restaurant. 2. The service is impeccable. Many of the staff members have been at the restaurant for years. 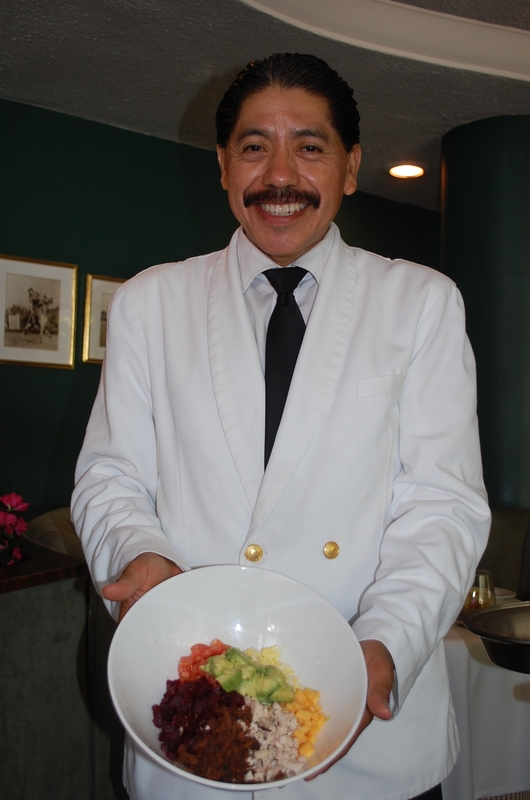 Ask for Felix, he will share a few interesting tales about guests who frequent the restaurant often. 3. The pianist Oksana is one of the most gorgeous and talented blonde piano players in Southern California. 4. The food is quite good. I thoroughly enjoyed my spice crusted salmon with fingerling potatoes and white/green asparagus. 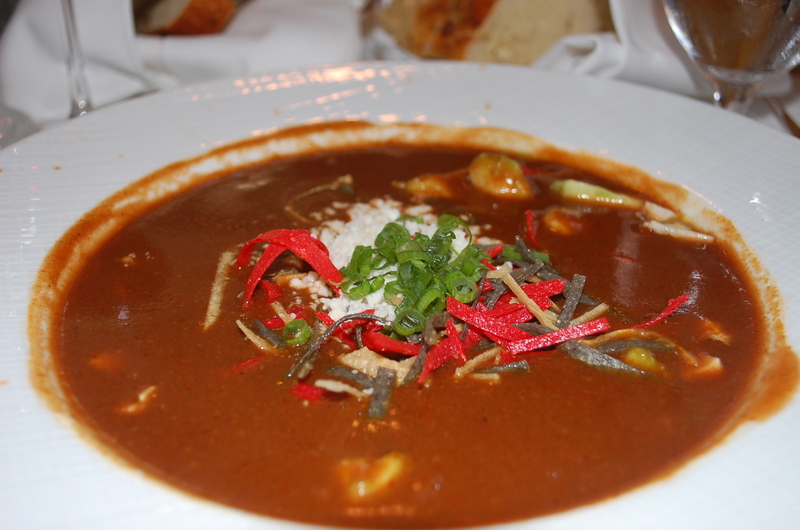 The McCarthy Salad and Tortilla Soup have been on the menu from day one. To celebrate 100 successful years in Beverly Hills, the hotel is offering “Pop-Up 1912 Pricing” at each dining venue. Once a week, one lucky table will randomly have their total check converted to 1912 prices. The Spa Specials include a Pink Palace Manicure and Pedicure or Diamond Anniversary Facial or Caviar Express Massage for $100 each. For Beverly Hills buffs, Robert Anderson, the great-grandson of the hotel’s original owner, Margaret Anderson, is launching his book ” The Beverly Hills Hotel and Bungalows – The First 100 Years,” this May. As the official historian of the Beverly Hills Hotel, he has exclusive images of many dignitaries and celebrities, historical facts and documents that are featured on each page. Many of the photos have never-been-seen-before of celebrated guests relaxing and enjoyed the grand hotel. His book is available at the hotel’s Logo shop and on the website. Each guest room in the hotel will have a book on display. The Polo Lounge is at 9641 Sunset Blvd. (310)887-2777.